Emergency warnings still in place as a massive WA bushfire rages. Car plunges through chemist shopfront in Sydney overnight causing extensive damage. Search for missing swimmer missing off Sydney beach continues today. Police search for car in waters off Queenscliff after fence on cliff’s edge suspiciously broken. Victoria Police’s Chief Commissioner Graham Ashton caught speeding…proving he is human. The father who drove his car off a SA pier with his two children in the back had shot them first evidence has shown. Ian Chappell has called for a world wide ban of cricketer Chris Gayle….as the hypocritical overreaction continues. Oh oh and this comes for Chappell who when kids approach him for an autograph he tells them to get stuffed. Man charged with murder over Wollongong stabbing. 3yr old toddler shot in the leg with a homemade gun in Morayfield. Gunman reportedly opened fire at a popular hotel in the Egyptian resort of Hurgada. UK man survives being bashed by 35 armed attackers. Bond….James Bond. Raging Rhino’s escape attempt foiled in nick of time in Holland. Mum of two killed while out jogging in affluent Auckland suburb in an unprovoked attack. US Police say man who shot and injured Philadelphia cop acted in the name of Islam. Mexico recaptures drug kingpin Joaquin “El Chapo” Guzman. Jet forced to abandon Wellington landing as wild weather pummels airport. Dumped dog in California has waited for days for its owner to return. They didn’t. Texan grandmother gives birth to daughter’s child in surrogate pregnancy….becoming a mother and grandmother at the same time. Wall Street down 165 points. 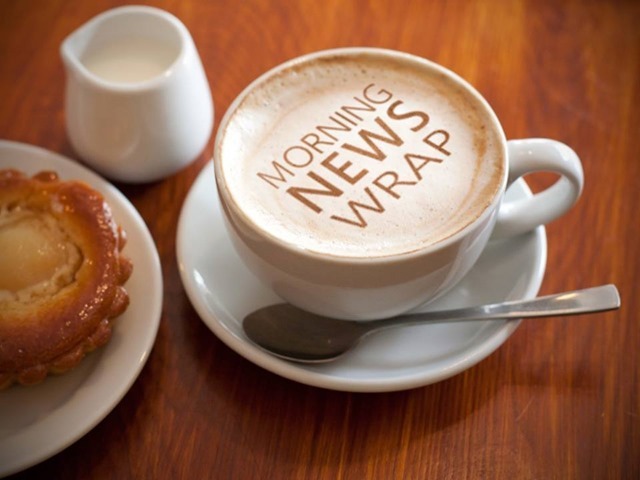 ‹ Morning News Wrap for Friday 8th January 2016.